Designing out of your comfort zone! So people often joke that everything I choose is grey! There is some truth in this as I do love grey in its many shades, it seems to just go with everything. As my old house seemed to be 50 shades of grey with the odd white or cream mixed in I thought I would be a little more daring this time. Maybe it’s part of a midlife crisis I mentioned previously but I am suddenly falling in love with colours and patterns. 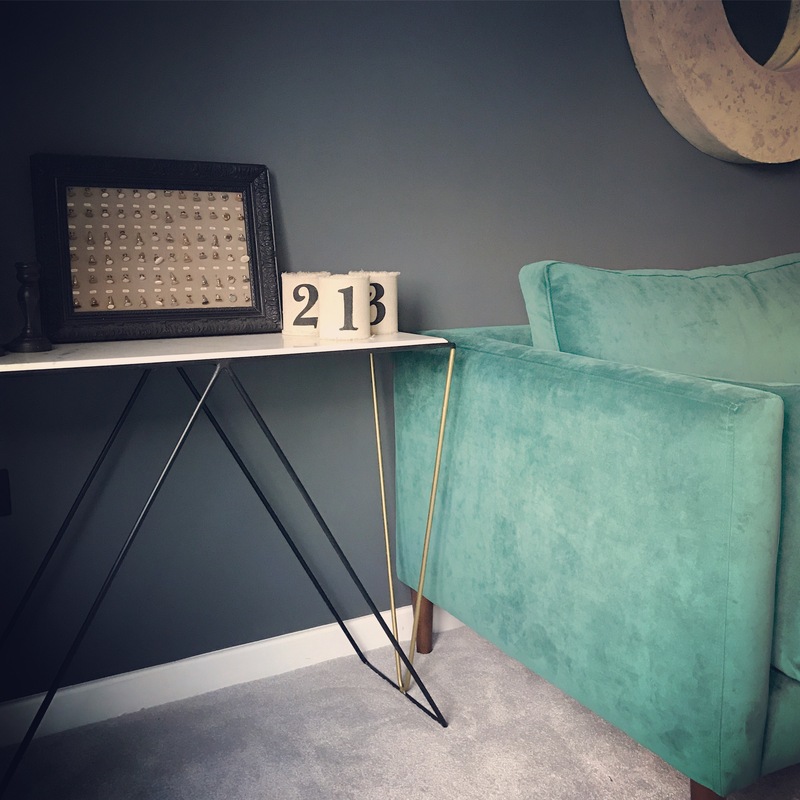 As we have more rooms in our new home my husband promised me that I could go a bit design crazy in our spare lounge, so I am doing just that! It is still very much a work in progress as I have to wait for each pay day to buy something new haha, but I’m getting there. I do seem to be moving mess from one room to the next as I sort through boxes and begin to place things in situ (I spend way too much time doing this and must have rearranged pictures and candlesticks a thousand times) but I will share some pictures so far! The sweeping lamp is Graham & Green and was last years Christmas present from my Mum! 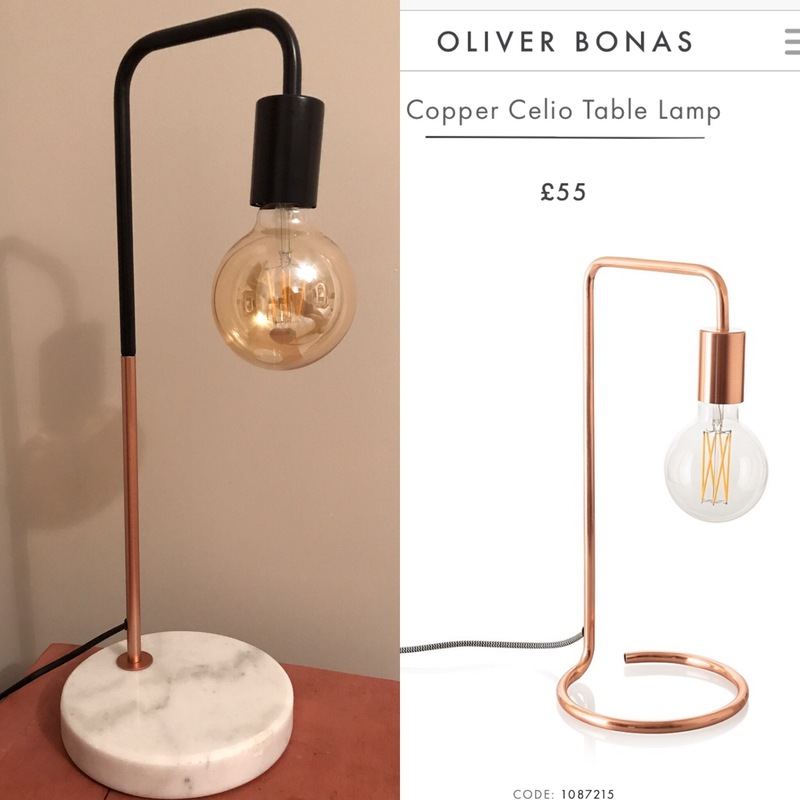 I have hunted everywhere for a matching central lamp shade and eventually found a similar one on Achica. These Gesso starts from Cox and Cox have been hiding in a box for months put have finally been dusted off! The jungle print cushions are Rockett St George. Rockett St George, Graham and Green, Abigail Ahern and Cox & Cox are some of my absolute favourites when it comes to home shopping so there are a mixture of the above around our home. I mentioned previously that I love a bargain so I also get a lot of bits from Homesense and TK Maxx. 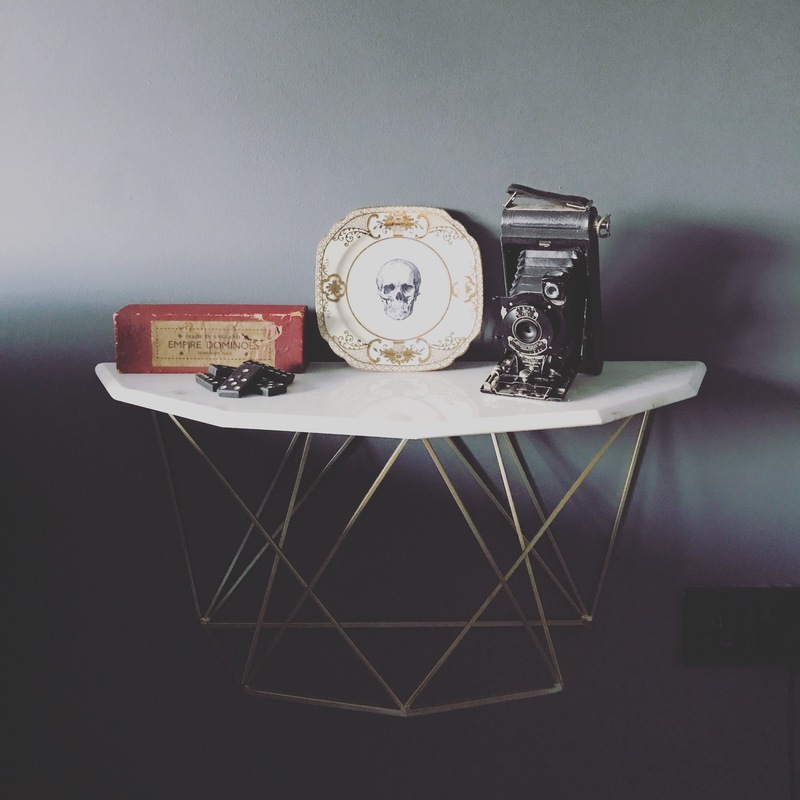 I love the idea of having something a little bit different so try to hunt for pieces at auctions, car boot sales and reclaim yards. We have also decided to be daring in our ensuite. 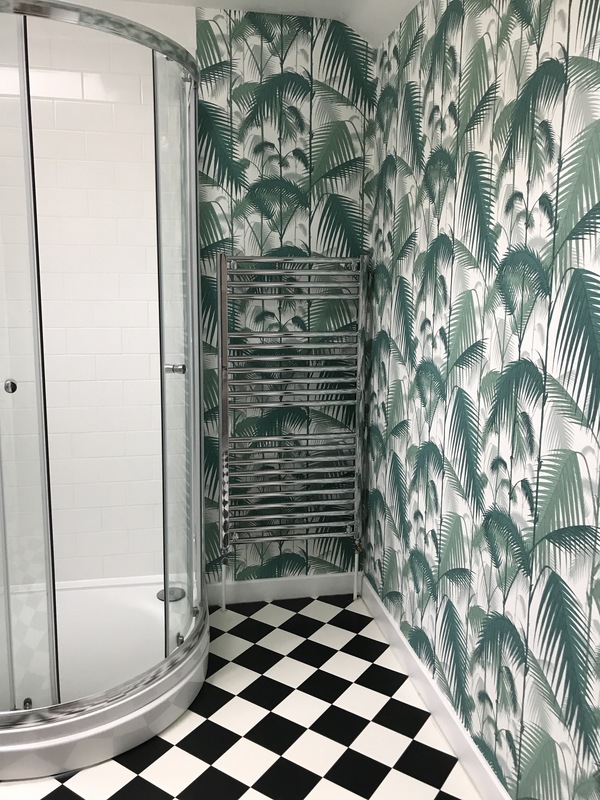 We opted for Cole & Son Palm Jungle wallpaper and a checkerboard floor. It is only us that use it and it’s a small room so the perfect little space for such an out there design. We still need to add mirrors and accessories but it has made such a big difference. I feel as though I am in a boutique hotel each time I step out of the shower and into the jungle! 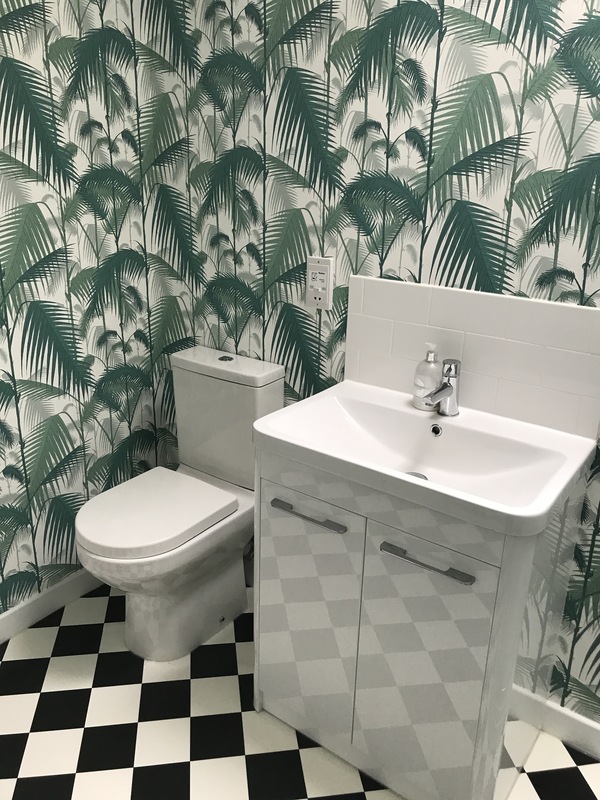 Cole & Son Palm Jungle wallpaper bringing the outside into our en-suite! 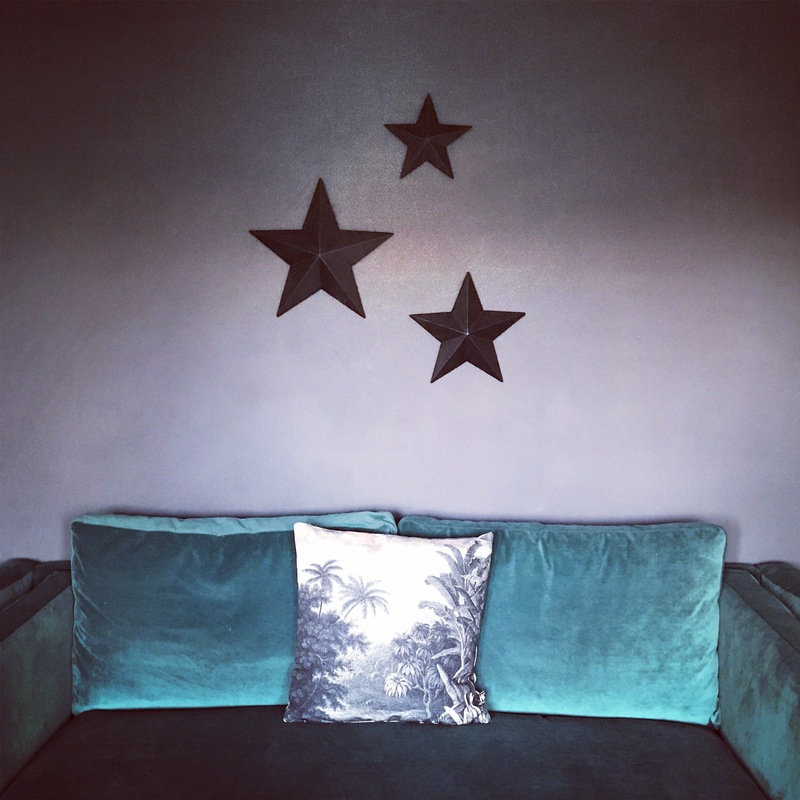 If you have a sudden urge to add pattern or colours out of your comfort zone, then a small space is the perfect place and it’s surprisingly invigorating to walk out of the tonal shades of the rest of the house and into a splash of wow! Oh I do love a bargain and gain a great sense of achievement when I find a working discount code! I do have very expensive taste and ever since I was little would always much rather save up for one special item, than have ten of something else. Having said that when the thing you’ve got your eye on is just out of your price range, who wouldn’t want to hunt for a similar look at a fraction of the price? I have got so much love for Aldi! Not just for it’s yummy antipasti and stone baked pizzas but also for its one off special buys. 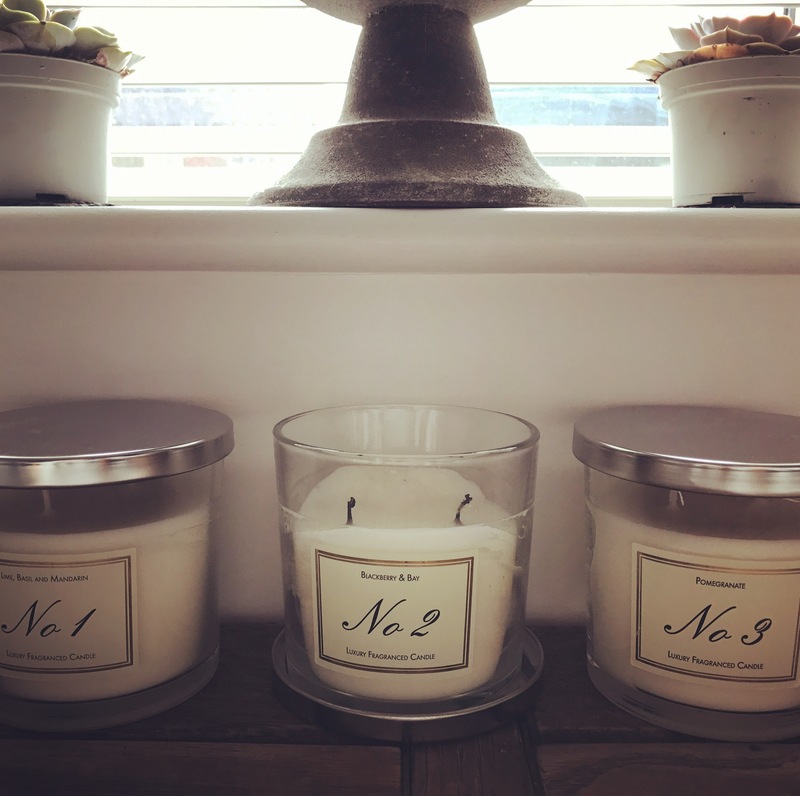 Jo Malone is an absolute favourite of mine and I’m very lucky to have built up quite a collection, but my candles are so special I find myself not wanting to actually burn them! They sit there looking pretty (right next to the lovely fluffy display towels that are not to be used haha!) 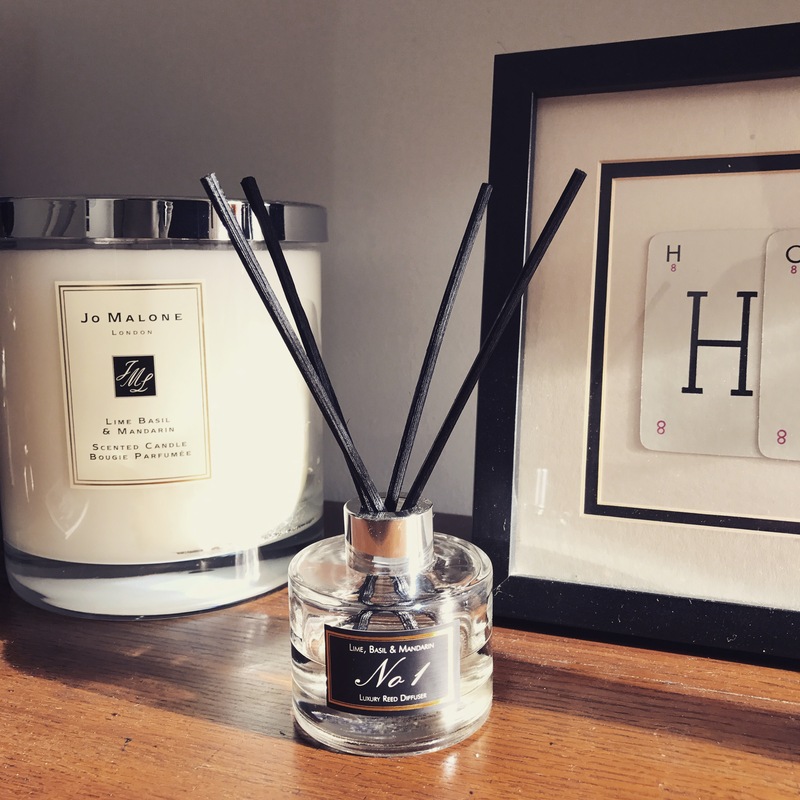 BUT worry no more as all of my favourite Jo Malone fragrances have been copied by Aldi and made into candles and diffusers for just £3.99! So I can now fill my home with lime basil and mandarin and not break the bank! Our house is now full of these bargain candles! Aldi’s lime basil and mandarin diffuser working its magic next to my giant (untouchable) Jo Malone candle! 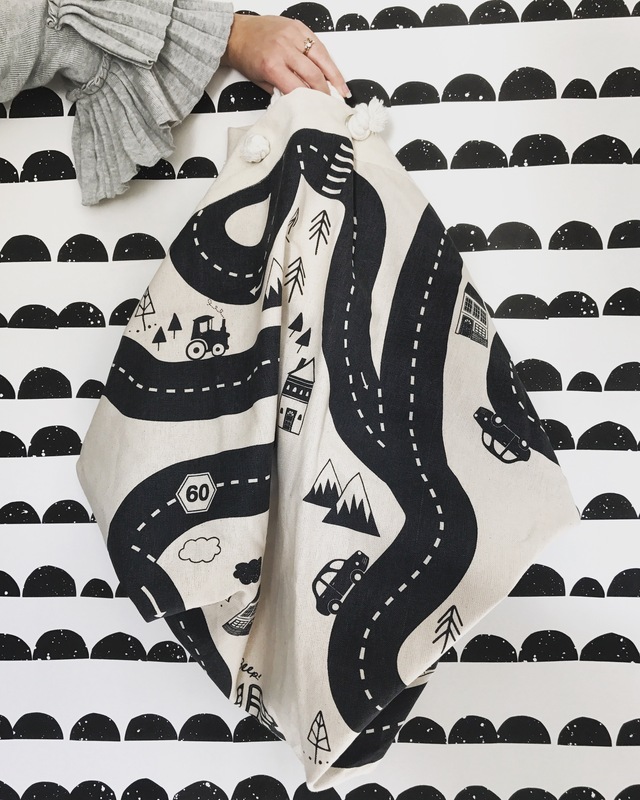 This week I have found the perfect toy bag for Beau’s monochrome themed playroom. 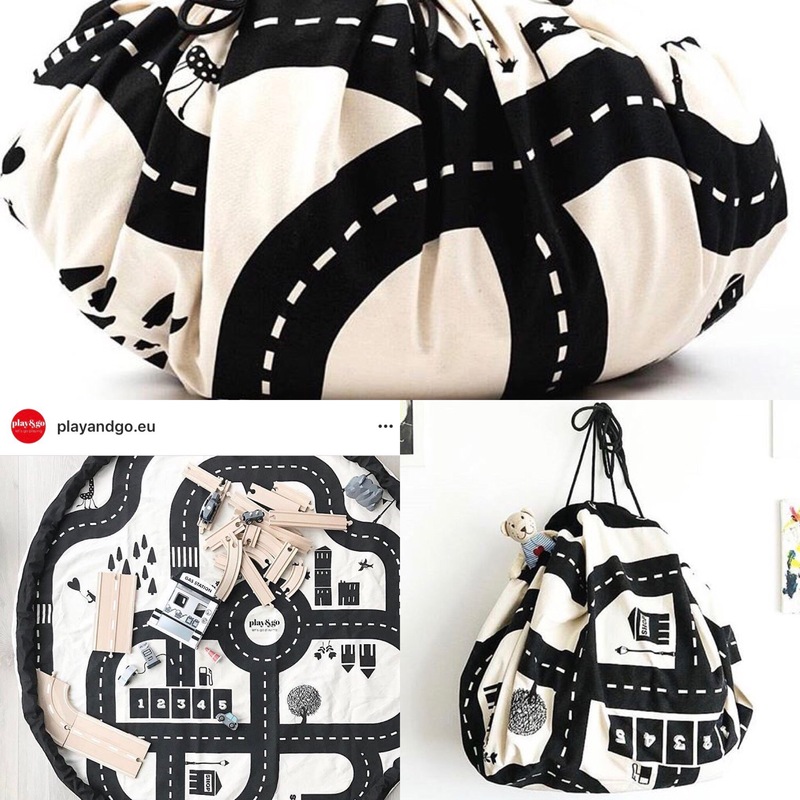 These road map bags are soooo similar to those by Playandgo, which are featured on all of my favourite Scandi style websites but the Aldi bag is less than half the price at £12.99. They come in three different designs too so get them before they disappear! 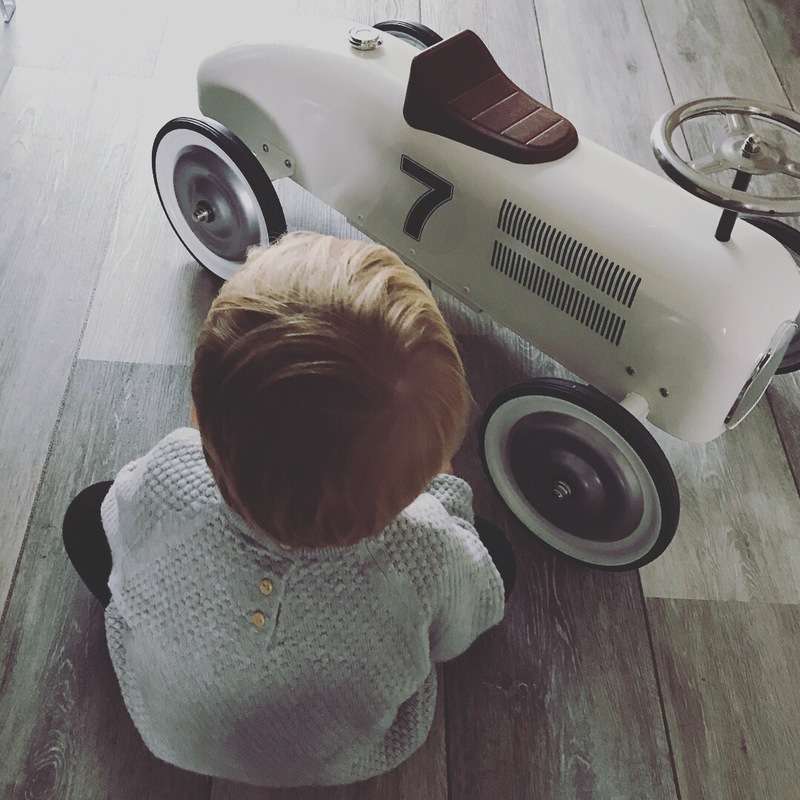 The Aldi version fits perfectly in Beau’s monochrome playroom! They also have so many beautiful wooden play kitchen bits in store at the moment giving Great Little Trading Company a bit of competition! 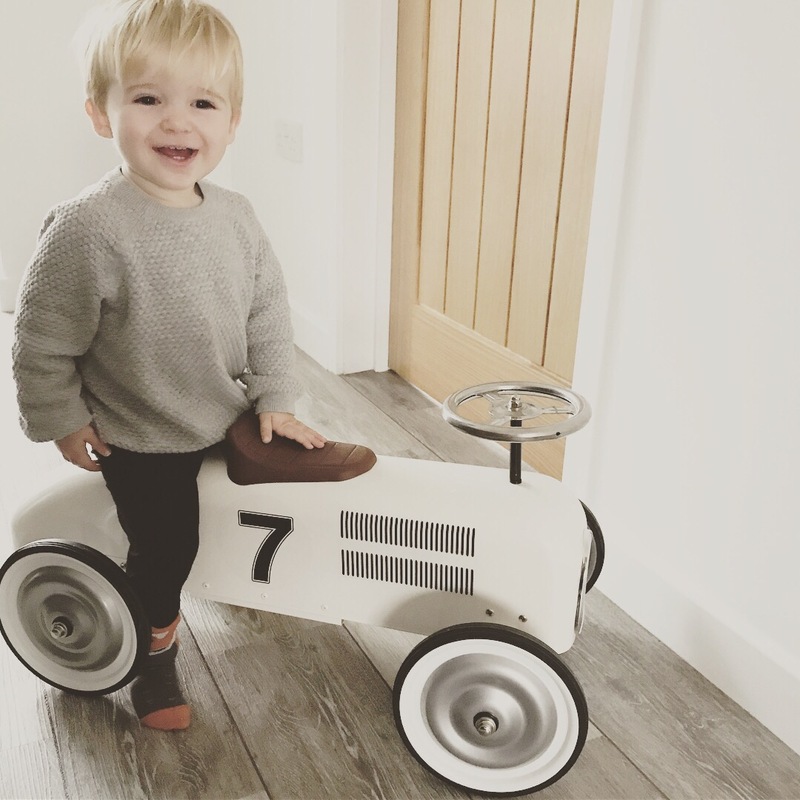 Beau and his retro ride. On the subject of shopping for bargain versions. This retro car would make a great Christmas present. Beau loves scooting around the kitchen on it or pretending to fix the wheels with his little tool box! Halfords sell this for £50 at the moment, which is half the price of others I have seen and apart from the number, it is almost identical. 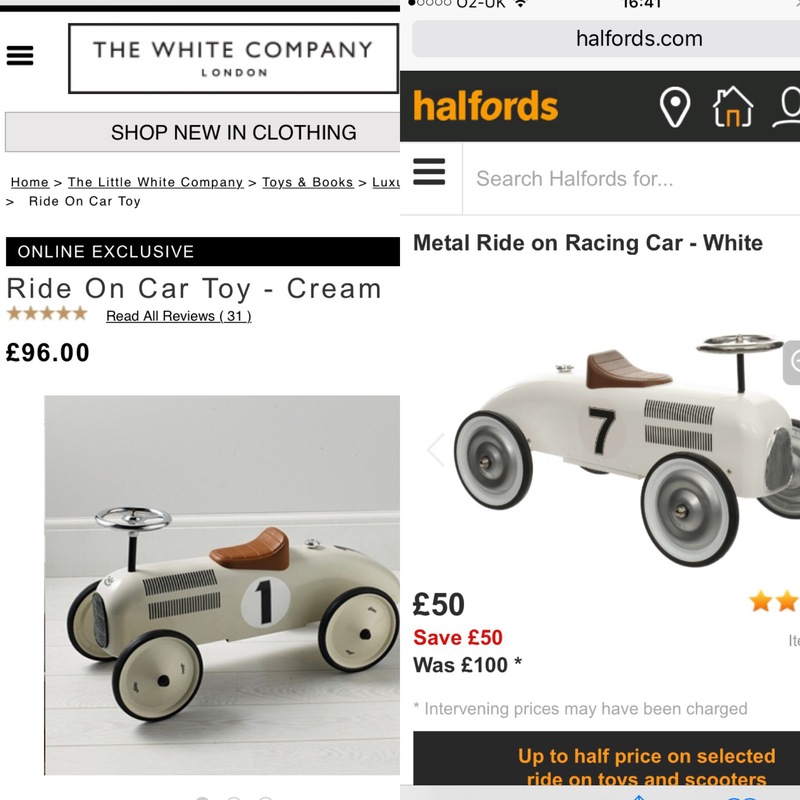 The Halfords version of the racing car is available now for half the price! Style bargains…..two of my favourite words! So my inner stylist was in its element as I planned, designed and made bits for our beautiful wedding this summer. I cannot wait to share some photos of the day on here. 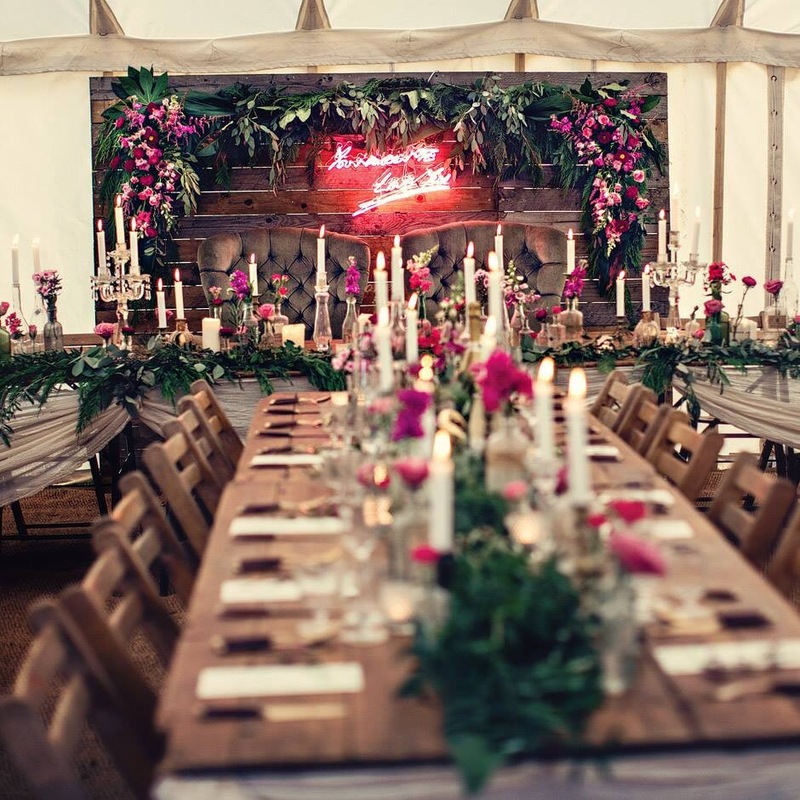 But for now here is a shoot that I helped with for the beautiful Dottie Marquee. 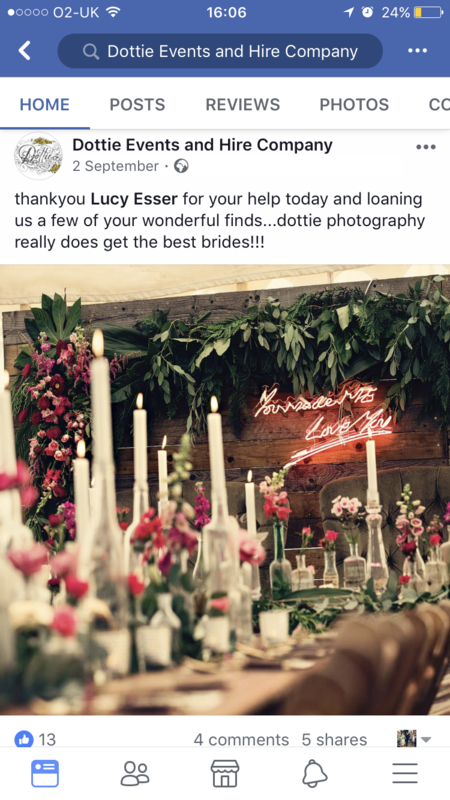 http://www.dottieeventsandhire.co.uk/ is a complete package of hire, styling and photography. 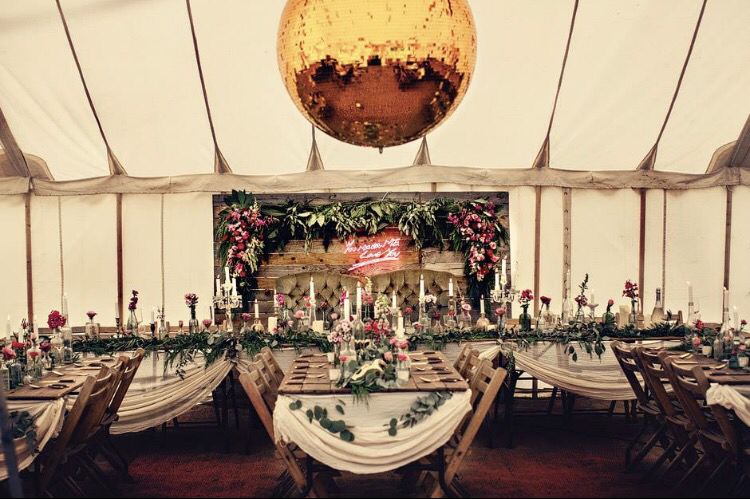 If you are planning a marquee wedding then you should definitely check them out! My neon sign lighting up the top table and the green velvet chairs adding extra splendour for the bride and groom! 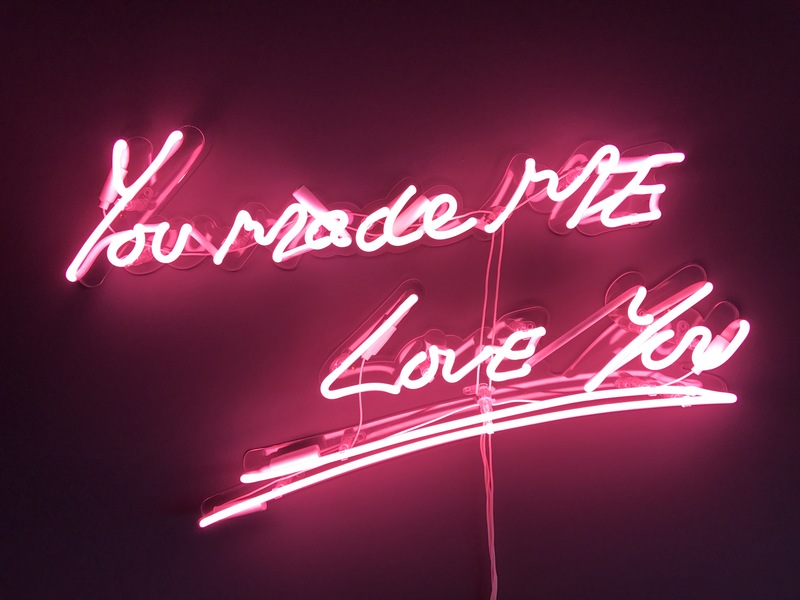 I was over the moon last month when Dottie asked if she could borrow my neon sign, (used for our wedding and now pride and place in our freshly painted lounge) and my green velvet armchairs. 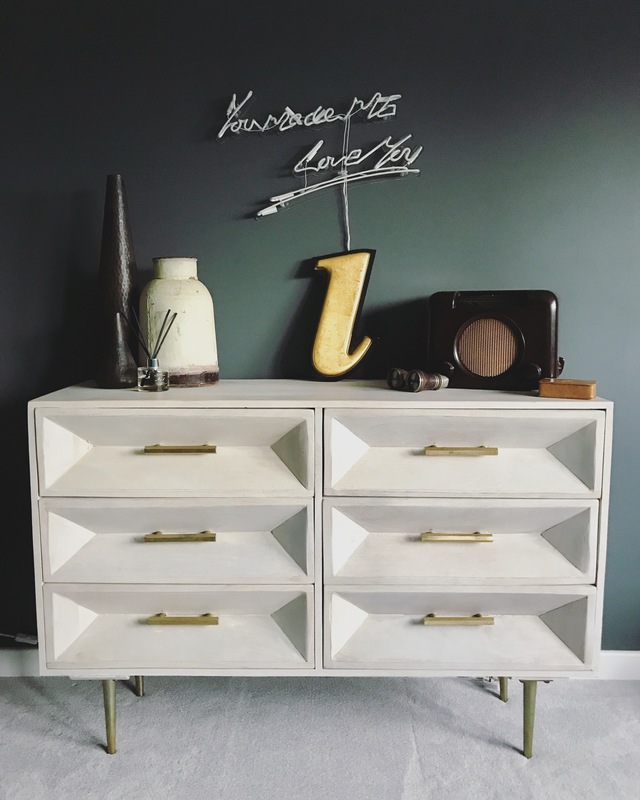 I am a bit of a hoarder of vintage finds and it is great to see them in all their glory rather than collecting dust in my garage. The green complimented the pink perfectly and we had so much fun fiddling around with interesting leaves and foliage, as well as adding beautiful flowers to vintage bottles in all shapes and sizes. The candles added extra drama and romance to the atmosphere in the marquee. It took me back to the excitement of the day before my wedding, transforming a blank canvass into something amazing and made me want to do it all over again! Not sure that would go down too well so maybe I should just help other people instead! This is the style it blog and will feature lots of ideas of how to style your event and home.